How many of you have signed up for life insurance already? Many of us tend to put it off, but the sooner we buy one, the better it is for us. Life insurance costs rise as we grow older, so it is better to buy the policy when we’re younger. The type of premiums we choose does affect our overall expenses, but age and health conditions are also important factors. Consumers Advocate.org is the best resource for policy reviews to assist you. If you still haven’t bought life insurance, here is why you should start considering it. 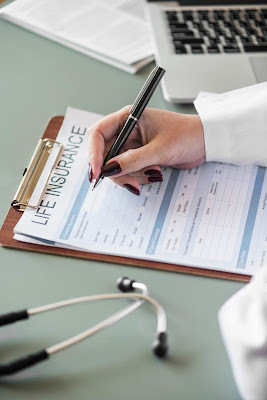 Life insurance can replace the lost income and provide financial help to your family should you pass away either naturally or in an unfortunate incident. But ensure that you buy adequate coverage, enough for the average monthly expenses of your family. Burial expense costs can calculate to several thousand dollars. Though you can pre-pay for the arrangements, there are certain risks involved. A better way to cover your expenses is to buy life insurance. This lifts the burden off your family and you, and offers a more secure guarantee. Still not debt free? Should you die unfortunately, your family members would then have to pay on your behalf. If they fail to do so, debt collectors might make attempts to get your assets, and leave behind none or very little money for your family. However, if you have life insurance coverage, your debts would be taken care of without your family having to spend any money. Haven’t yet saved for your child’s college education? Life insurance is actually a feasible option for you then, supplementing your savings. If you child takes a loan, then you can repay the debt as well with insurance proceedings. Life insurance can be divided into two main types: term life insurance and whole life insurance. The first of these, remains in place for a specific time period. Whole life insurance, on the other hand, expires only if you cancel, and allows you to build cash value. If you opt for whole life insurance, you also enjoy a cash cushion, which you can use anytime you want. Generally, if someone dies, the heirs have to pay inheritance and estate taxes on all received assets. These tend to add up to a huge amount, but if you have signed up for life insurance policy, the cost can be covered. Life insurance is extremely valuable for entrepreneurs, providing coverage for all your obligations. If you’ve partnered up with someone, both of you should sign up for a plan. This ensures that no one has to bear heavy financial costs in case of a mishap.